All round talented guy – professional cyclist, business man and designer, Yanto Barker. Today, OCG is chatting to Yanto Barker all about his life as a professional cyclist, business man and designer and why it’s important to look good whilst cycling. Yanto was the highest ranking Briton in the Tour of Briton in 2005. In 2006, he represented Wales in Melbourne at the Commonwealth Games and then, during a retirement period, Yanto developed the Le Col clothing range, kit intended for the ‘discerning rider’. He returned to professional cycling in 2010 to ride for the Pendragon /Le Col/Colnago team and went on to join Team Raleigh in 2014. Then at end of last year, in December, it was announced that Yanto will captain the new ONE Pro Cycling team for 2015! OCG: Happy New Year Yanto! Welcome to OCG HQ. So, I’m intrigued to hear what made you make the move from pro cyclist to designer? Yanto: This is a good question, ultimately I haven’t moved completely as I currently still race full time. The reason I wanted to start a business is two fold: 1) I believed I could do a good job with the products I wanted to produce, and 2) I have strong beliefs about how to run a good, ethical, profitable business and I wanted to put them into practice. It is also a pension plan for me when I retire from full time competition. OCG: Always good to have a plan in place! Yanto, I have a few Le Col items in my cycling kit drawer! 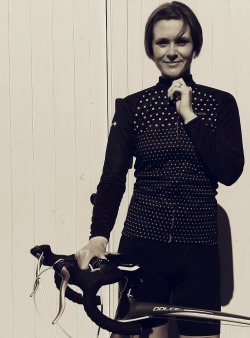 I love the quality of Le Col and that it has such a stylish range aimed specifically at women. What made you decide to introduce a women’s specific range into Le Col? Yanto: I am very keen to develop products specifically designed for their purpose. What this means is we don’t make products that are trying to cater for two jobs at a time, ie. casual riding jacket – it’s casual or riding – not both. Women need something slightly different to men in both fit, colour and sizing, but also marketing. This has been taken into consideration (I am still learning about the female market and products), but my overall philosophy is to produce the right products for the right people and not develop items that are compromised in one way or another trying to tick too many boxes that don’t go together. OCG: What plans do you have to expand or develop the range? Yanto: My overall aim is to build a business and brand respected for the technical products we produce. I am dedicated to keeping up progress on garments we develop and this will never stop. So you should expect to see improvements as we always aim to take on feedback and introduce details people tell us are important. I will introduce these features into the range more and more along with a more recreational range in the future that is not so performance led but stylised. Yanto: I usually set the parameters when we start to design a new product around what the overall outcome is that we want to achieve. Then I start and get some visuals drawn up, I have a few people I ask for feedback at this stage, then we go the next step and make a few samples, then there is another stage of feedback along with personally looking at whether this new development fits the brand and range as I intended. Then we adjust and either get another sample or if it’s close enough, make a production run. There is a design team here, a creative director and also a few people I ask because I trust their opinion. (I am sure there is room for one more person to share their views ). OCG: Yay! It sounds like a really interesting process and very much a team effort. OCG: How important do you think it is to look good whilst cycling and why? Yanto: This is a good question and one I have thought long and hard about over the years I have ridden by bike. Basically my belief is this: as a performance athlete I am looking to get the absolute best out of myself and getting the best out of my personal performance is inextricably linked to how I feel about what I am doing and also how I feel while I am doing it. This thought process applies to any goal you set yourself, be that losing weight, improving performance or just releasing a bit of tension and stress after work. So, I can make a direct link from my feelings to my performance. This has been backed up by numerous studies along with personal experience. If I look good, I feel better about myself, if I don’t feel like I look good, I am either disheartened or distracted by the way I look because I am not totally happy or comfortable. So to take this away from a performance environment, out riding with friends I still want to enjoy this time as much as possible and looking good, feeling comfortable (warm, dry, visible) – these are all details I take into consideration when I ride personally but also when I design products. To know you have the right kit for the weather you are riding in is a big factor you don’t need to be worried or distracted about it. To know you have the right kit for the weather you are riding in is a big factor – you don’t need to be worried or distracted about it. Finally, to wear a product that you know has been carefully designed with as much detail as possible considered to sculpt that garment into a final product that really does work demonstrates to yourself and those around you, you respect yourself and have invested in what you are doing to ensure you reach your targets, be that losing weight or training to be able to race at the highest level. OCG: I really feel the cold and find it sooo hard to get out there on my bike in the winter. What do you think is the best way to stay committed to cycling in the winter months when it’s not always easy to get out on the road? Yanto: Always set yourself targets. Think about them carefully, they need to be achievable but also a challenge. If you don’t do this you will not feel a level of satisfaction needed to keep motivation high which will make the riding much less of a chore and give you much better odds on achieving your ultimate goals. That and buy good kit! 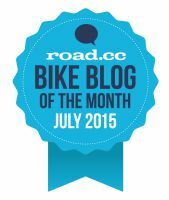 OCG: What one piece of kit, other than the bike, do you think a cyclist can’t be without? Yanto: Well the sensible part of me says a helmet. OCG: I like that you said that! My daughter is seven and recently got her first road bike. Can you remember yours and what was it? Yanto: That’s great! Yes I can, it was a very small green Raleigh and I was so pleased because even at 4 or 5 when I got it I never used stabilisers. (I did have a trike before that when I was very young). OCG: I’m sure you get asked this all the time, but cycling in the UK has exploded since London 2012. How do we keep that momentum going and ensure we’re inspiring the next generation of pro cyclists? Yanto: There are a few key ways, first, we need to inspire people to cycle, I love cycling and I am full of enthusiasm when I talk about it. Then you also need to develop experiences and products to ensure people enjoy it when they do take it up. This is also something I consider when I design our products, if you have a good pair of shorts and you enjoy your ride thanks to that then I have done my job. If you have a rubbish pair and they hurt you the probability goes up that you won’t enjoy it so much and will be less keen to go out again and again. This is important all round. OCG: Absolutely! I have a pair of tights that I wear sometimes and they’re so comfy to start off with but by the time I’ve done a few miles in them, I’m so fed up with them falling down and the padding chafing that I just want to go home – they’re not Le Col, I hasten to add! What are your plans and aims for 2015 both in business and in professional cycling? Yanto: I actually want to support my new team to achieve the goals I know they can, by helping individuals fulfil their potential. This means working with all the management and riders and is something I am motivated to do. I am less focussed on my personal results but this is not to say I am not still extremely competitive and motivated to perform to my best physically. As a business I would like to see good solid growth and recognition for what we are doing across our sales and brand awareness. OCG: A couple of quick fire questions if I may…. Top three tunes for training to? Favourite person to follow on Twitter? 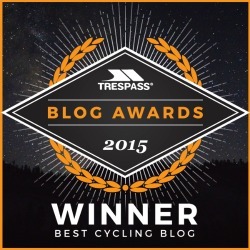 @ukcyclingexpert are hilarious, highly recommended. It’s interesting you would ask this because I am currently doing both, so its not an ‘or’ question and I love both. Your favourite piece of kit? Our sport range winter jacket. The right combination between thermal, aero, comfortable and warm. I love it! OCG: Yanto, thanks so much for chatting with me, it’s been really lovely. Wishing you all the very best for 2015 and the future generally, both with the fantastic Le Col clothing range and with ONE Pro Cycling. I can’t wait to see what new products get added to the Le Col range and to watch the progress of the team. 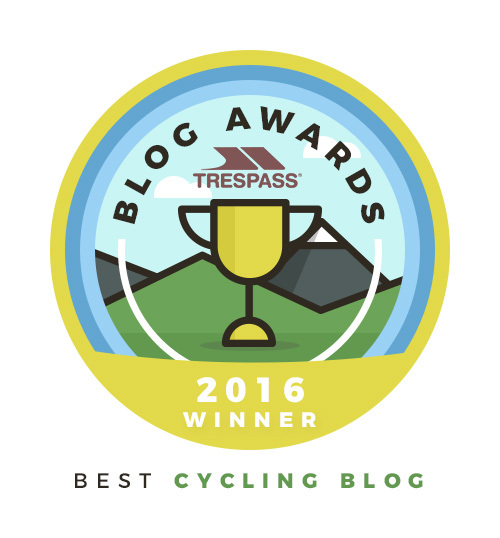 Share the post "OCG chats with…Le Col founder and professional cyclist, Yanto Barker"